Daniel began his journey into yoga — like lots of practitioners — by accident, and with very little expectation. He started practicing as a way to compliment his other athletic pursuits, but quite quickly, it soon became much more than “just stretching”. Daniel’s background is in Martial Arts. From a very young age, Daniel started training in Taewon-Do, eventually earning the rank of third degree blackbelt. Daniel’s area of focus within Taekwon-Do was Patterns: choreographed sequences of technique that focused on precision, strength, and power — his yoga style is a direct reflection of this. 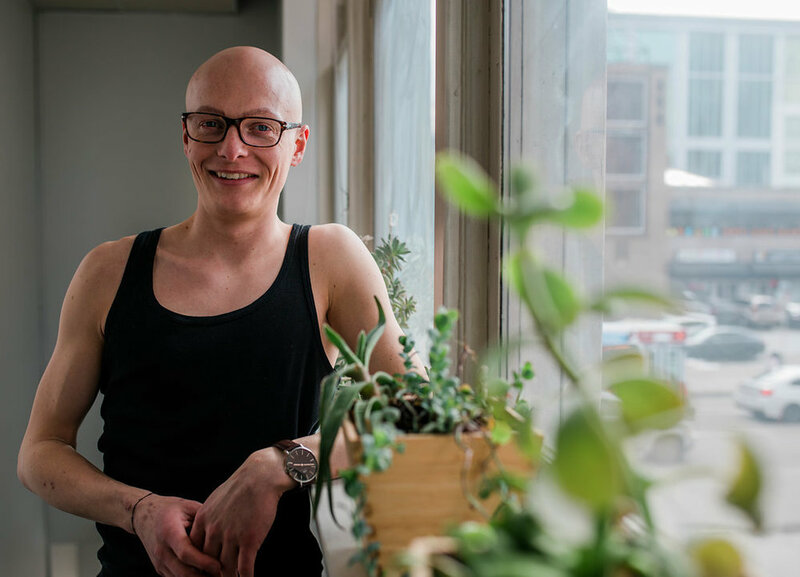 Daniel completed his Yoga Teacher Training here at Yoga Passage, and he’s beyond thrilled to represent the studio that means so much to him. You should expect heavy music (he has some legendary bassy playlists), lots of strength, and plenty of “weird” or unconventional yoga. Keep an open mind.